The 2015 Panel of the IPA-Committee “Psychoanalysis and the University” will focus on the topic of teaching psychoanalysis at the university. A main topic to be investigated is whether there are any differences in teaching psychoanalysis within, say, a faculty of medicine, a faculty of psychology or a faculty of humanities. Furthermore, how can any possible differences in the transmission and spreading of psychoanalysis within different academic fields be framed? What needs to be considered when choosing the various themes, topics and methodologies of teaching? Even deeper alliances between psychoanalysis and universities are now being established such as the current Finnish experience relating to the recent introduction of psychoanalytic training in conjunction with universities: This topic will be presented drawing from a short outline of psychoanalysis at the university starting from Freud. 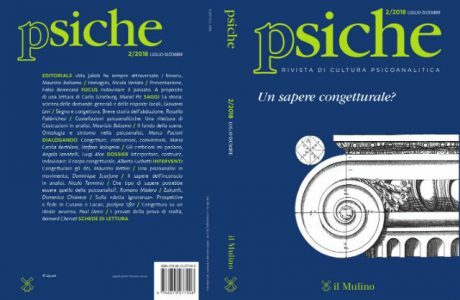 Comments on the papers presented by Patrizia Giampieri-Deutsch and Johannes Lehtonen will be provided by discussants, reflecting on their own experiences in teaching psychoanalysis at various university faculties, with special regard to the specific requirements and needs of their respective psychoanalytic societies. Each presenter will attempt, from his specific perspective, to illuminate the vigorous yet sometimes vexed relationship between psychoanalysis and the academy. In view of the growing recognition that there exists between the two a sort of mutual necessity, the purpose of this panel is to examine how trauma, with its clinical urgency and research potential, may bring psychoanalysts and university-based endeavors closer together. The aim of this panel is to demonstrate the cross-fertilization between clinical psychoanalysis and university research. 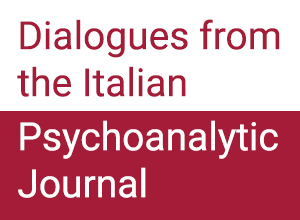 We focus on the topic of trauma, which is equally important in both these arenas: practitioners need to know which forms of treatment are most effective, while scholars obtain inspiration for, and deeper understanding of, their work thanks to the integration of psychoanalytic insights with quantitative as well as qualitative methods of investigation. 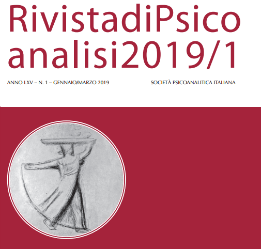 Peter L. Rudnytsky will trace the historical origins of this topic to the estrangement between Freud and Ferenczi, the first university professor of psychoanalysis. Rudnytsky, himself a professor, honorary member of APsaA, and an advanced candidate at the Florida Psychoanalytic Institute, offers new insights into the parting of the two men over matters of theory and technique, which centered on their differing conceptions of trauma, and into their reciprocal “analyses” of each other’s personalities. Rudnytsky argues that, although Freud and Ferenczi represent permanently valuable poles in psychoanalytic thinking, Ferenczi’s openness to reevaluation and research enabled him to achieve a more successful reconciliation of their complementary perspectives. From Hugo Bleichmar, psychiatrist and psychoanalyst, as well as a prolific author of scientific papers and books, comes a contribution about subtypes of affective dysregulation. Employing case material throughout his presentation, Professor Bleichmar combines clinical psychoanalysis with recent empirical research to examine the role of arousal as a specific form of affective dysregulation following trauma. He then proceeds to contrast the role of interpretation as a privileged instrument of analysis with the role played by the therapeutic relationship in effecting psychic change. Andreas Hamburger, a seasoned clinician and a professor at the International Psychoanalytic University, shares his experience of “co-constructing a research network in a former battlefield.” His interdisciplinary network, “Trauma, Trust, and Memory,” comprises scholars and psychoanalysts from nine universities in four countries of Southeastern Europe and Germany, under the auspices of the German Academic Exchange Service (DAAD). Hamburger presents the most important results of ca. 50 ongoing investigations into the effects of war, persecution, genocide, etc. He also discusses the challenges encountered by psychoanalytic researchers, which, if met, create a new horizon for an interdisciplinary adventure with the potential to heal the fissures of trauma in social memory. Finally, Aleksandar Dimitrijevic, of Belgrade University and the Belgrade Psychoanalytical Society, discusses all three presentations, extracting from them possible directions for improving the collaboration between psychoanalysis and academia. Each presenter uses trauma as a focal point for further integration of psychoanalysis and the academy, examining the relationship in its historical, clinical, and research dimensions.